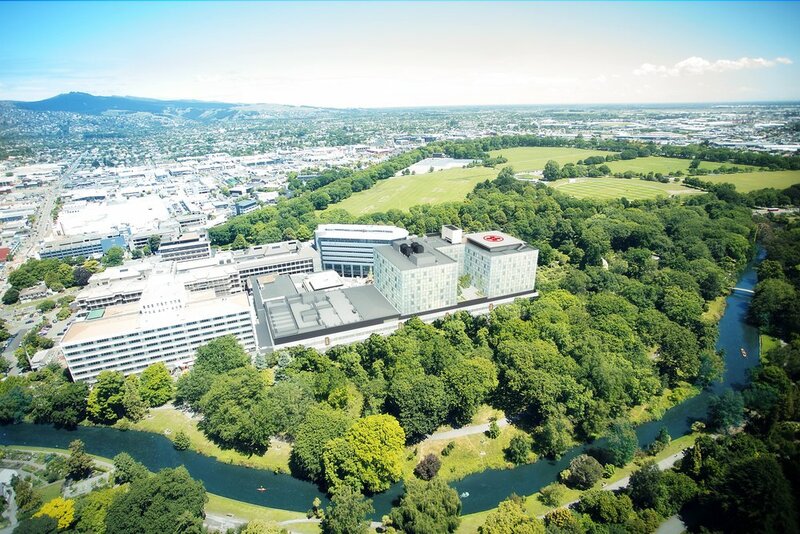 DESCRIPTION/ The Acute Services Building at Christchurch Public Hospital (New Zealand) is the largest government project of the Canterbury rebuild. The project scope was to develop a steel-framed solution that meets Importance Level 4 (IL4) standards and account for 50mm of inter story drift, while complying to NZS1170.5. Using TRACKLOK® as a base line for the specific design, Jacobs Engineering developed a robust solution that was physically tested in front of designers, the contractor, Jacobs Engineering and Holmes Consulting – successfully. The 62,000m² building will house 12 new operating theatres and procedure rooms, an expanded intensive care unit and emergency department, a state-of-the-art radiology department and inpatient ward blocks for 400 beds plus purpose-designed spaces for children.